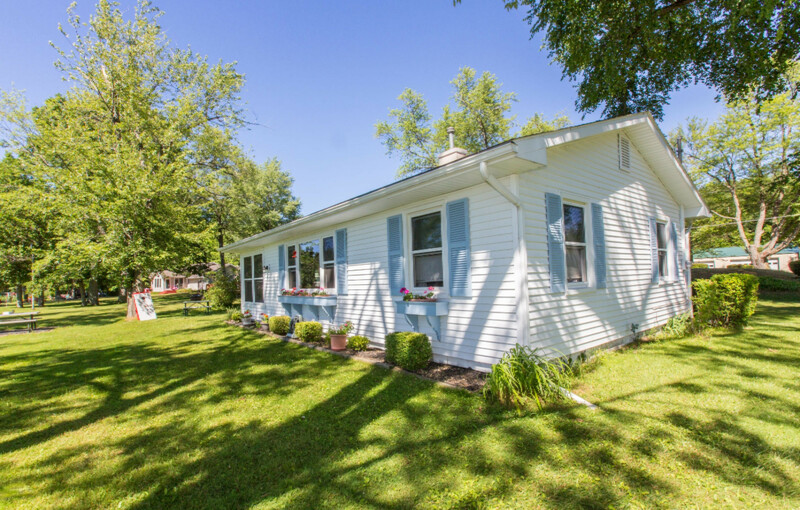 Create family memories with this 2 bedroom 1 bath cottage. Porch sleeps two more twin beds for extra sleeping. HOME HAS BEEN WINTERIZED.Not many opportunities like this on an all-sports lake and especially for the price. Both cottages come partially furnished and will include docks and accessories. Very well maintained and has an engineered septic system. All appliances to remain along with lakefront dock. Check out the park-like flat setting to the water. See attached video drone footage to see both cottages. Seller does pay for flood insurance, and optional $213 for weed control.Contact Jim.drews2@gmail.com for more information or to schedule a showing.